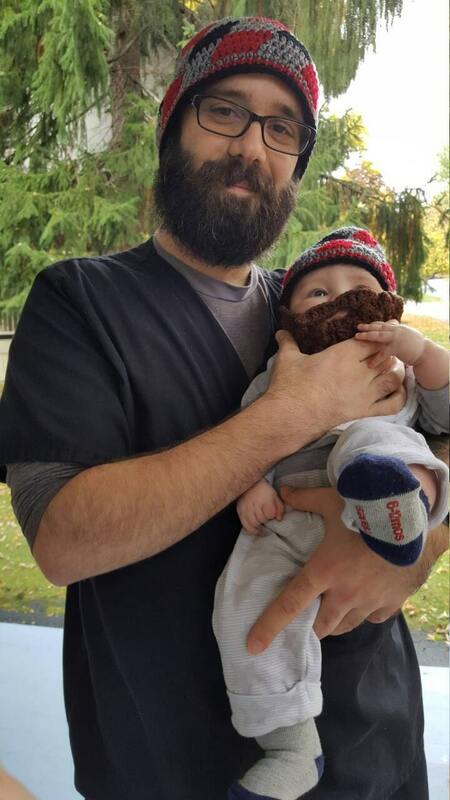 Often I get requests for a beanie for Dad with a matching beard beanie for baby. They ask sheepishly as if it is a silly request, but I love it! Involved Dads rock! Have fun and enjoy it! 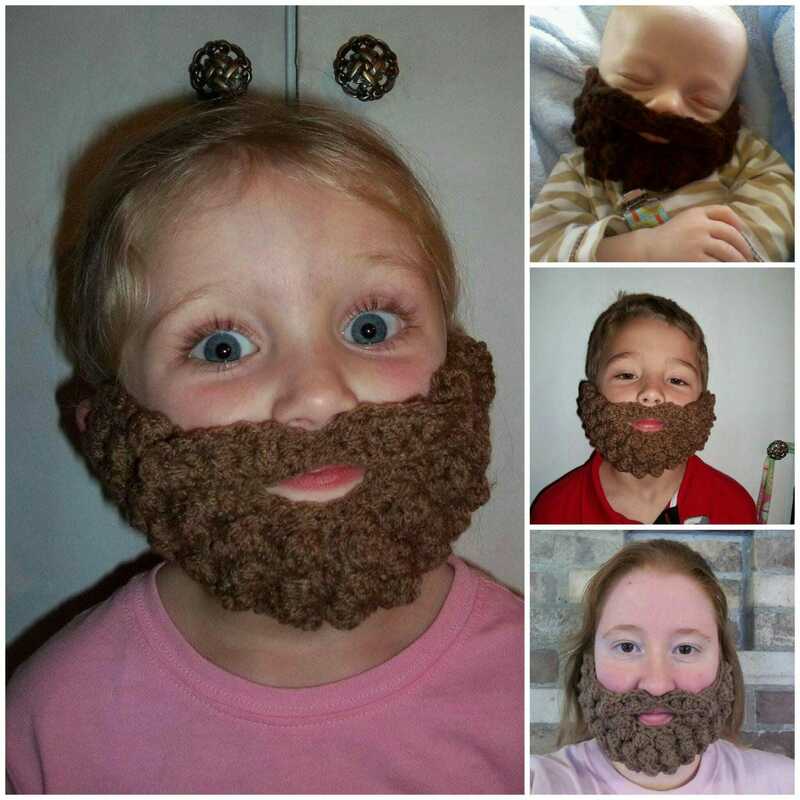 With this set, you will receive a one size Adult hat and your choice of size baby bearded beanie. The beard is not attached to the hat. It is worn around the ears like the photos show. 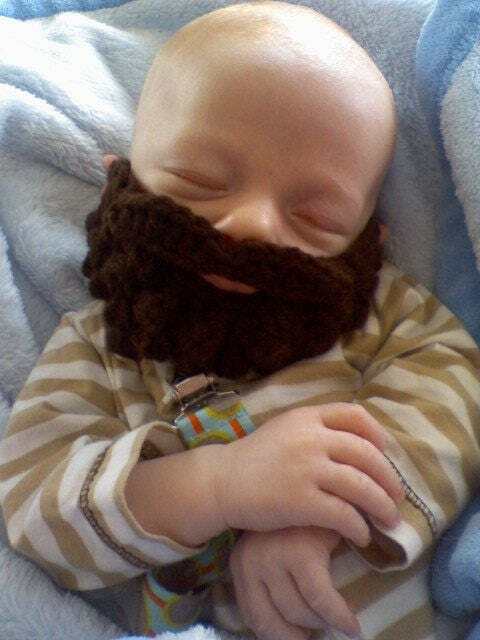 Please choose the size baby beanie from the list below and the beard color. 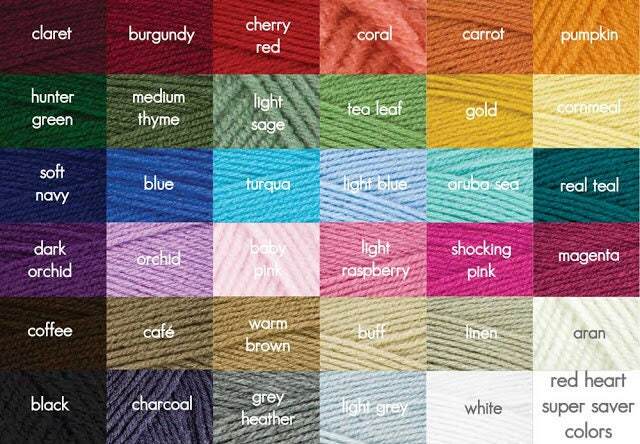 Both hats will be red, gray and black plaid unless otherwise specified. Dad's beanie will be the same color as the child's and is one size fits most. Custom orders are encouraged. 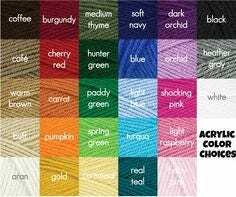 Check out the color chart in this listing, and leave me a note in the "Notes To Seller" section upon purchase with your hat color choice. This hat is perfect for cold, outdoor activities.